Born and raised in California, Gurpreet Kaur Sidhu always felt different from the other kids. Gurpreet has been a day dreamer at a young age she wanted to accomplish a lot of great things and leave a mark behind – a good one. Gurpreet began writing already in the seventh grade. That’s when she wrote her first book. She was inspired by J.K. Rowling and figured out that if she was able to creating something so fascinating like Harry Potter, so could she. As Gurpreet got older, money became her focus. She wanted a career that would support her lifestyle and that would enable her to buy a home in the Bay Area. With an insatiable appetite for reading and writing, Gurpreet would often find herself at the receiving end of a cold stare from one of her teachers – reprimanding her for working on literary ventures when she should have been paying attention. All those secretive moments spent scribbling paid off, however, and now Gurpreet is launching her debut novel “STORM”. 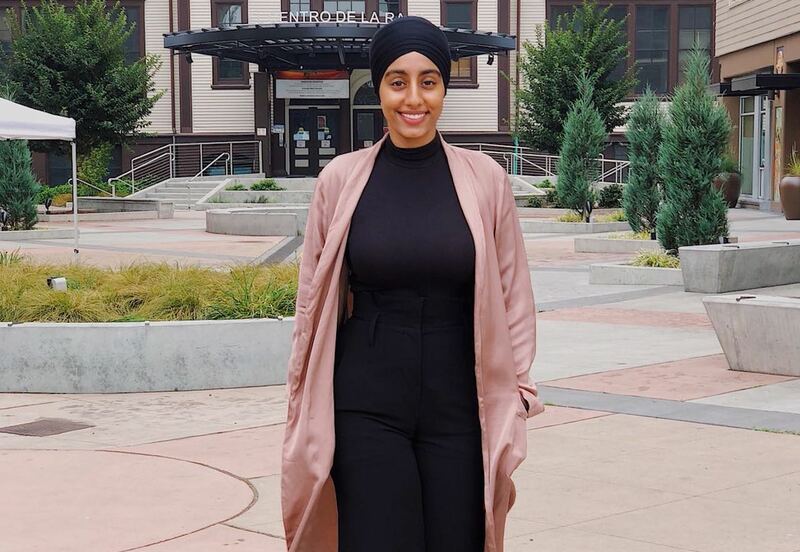 In addition to being a highly accomplished writer, Gurpreet is a passionate businesswoman, holding a bachelor’s degree in Business Management. Currently, she’s exploring other business opportunities that align with her mission and passion. Aside from fervently writing and building a business empire, Gurpreet can be found savoring the scents of her most recent kitchen-made delicacy or pumping away stress at the gym. Gurpreet Kaur Sidhu, tell us something about STORM and something we would not be able to find online. Storm is a psychological thriller, the first book in the series, with themes of reincarnation and karma. It has a mix of romance, mystery and suspense. The story starts off with Evan Storm, who remembers his past life through reoccurring dreams. He’s adamant that the memories mean something, even though his family thinks he’s crazy. When he meets Shadow Hex, his neighbor, he learned she’s the missing piece of his puzzle. What he doesn’t know is that by getting involved with Shadow, he’s putting his whole family in danger. Well, I think I’ve given away most of the backstory of how Storm came to be. But what readers don’t know is that in the second book, there will be two deaths in the family. I’ll keep it as a secret as to who those two characters are. Readers will get a little bit of insight of the SEA, the Secret Eye Agency, the secret projects that they’re working on and how it started. In Storm, we don’t cover that aspect of the SEA. Readers will also get more insight of Derek and Samantha’s story. What inspired you to pursue a business study and become a businesswoman? When I was in the fifth grade, we had a book fair at school. I would buy a few books that I was interested in reading and sometimes if I couldn’t find anything, I’d buy books just so I could add them to my library at home. That’s when I bought a book—I forget the exact title of it— but it was something along the lines of How To Become A CEO. I read bits and parts of the book, about what made people great leaders and since then, I wanted to be a CEO. I had no idea of the stress behind running a company, or financials. I only knew a little about what it took to become a great CEO. I had a vision as I grew older, that I’d be one of the few women CEOs and from there, the vision changed to starting my own company. Which led me to get a degree in Business Management. Even though we no longer have our clothing line anymore, I’m working on different projects that align with my passion! What inspired you to write STORM? What was going through your mind on that day? I’ve always been fascinated with reincarnation and karma. Who were we before this life? What kind of world did we live in and how were we as human beings, if we were in fact humans in our past life? Based on my beliefs, I believe the two go hand-in-hand. I’ve met people who remembered their past lives and I’ve always wished that I had that gift. The idea came to me as I was on my way to school. I knew I was never going to magically begin to remember my past lives, so I figured, why not write a book about it? To make it interesting, I decided to add a secret agency, a psychic grandma, an old love and some secrets. That was eight years ago and the storyline still makes me excited. Since it’s a series, each book gets better and better. I started off with writing the TV pilot for it and when I heard back from agents, requesting more of my work, which I didn’t have at the time, I decided that I would write a book instead. I still would love to see it adapted into a TV series or a movie. What fulfillment does writing give you? It gives my imagination a permanent home. I’ve always been a daydreamer growing up and still am to this day. I have so many ideas, curiosities and questions that what usually ends up happening is that a potential story comes to life. Being able to write about things that I wish existed in the real world is really fulfilling, and writing in general is therapeutic for me. What sacrifices have you had to make during life as an entrepreneur and a leader? I had to give up everything that wasn’t going to propel me forward. Which meant limiting screen time to little or nothing. I didn’t spend as much time with my family or friends because I had to wear multiple hats; I was constantly busy. I really had to prioritize what was important to me long term. It’s made me mentally stronger and has improved my work ethic. I’m more determined to be successful and I don’t see any other option. When I say mentally stronger, I’m referring to the failures that you’re going to endure on this entrepreneurial journey. Not everything’s going to pan out the way you’d hope, and you have to understand that going in. Keeping my head high and being positive were some of the hardest things I had to do because a lot of people around me didn’t think it was a good idea to start a business. They wanted me to go on a safer route, where money was guaranteed. Unfortunately, I’m a risk taker and I like going down paths that are new to me with little to no guidance. How do you manage your work days? I use Microsoft To-Do and make lists for every project that I’m working on. Then I’m able to set due dates for each task that way I’m able to create a daily to-do list to make sure I’m on track. However, there are times when I end up working on a task for too long, which backs up my schedule. I’ve had a lot of those days which made me realize that I need to work on bettering my time management skills. I found that setting a time limit for each task has helped me complete all my tasks for the day and I’m not staying up until midnight to finish a day’s worth of work. What would you like to share and advice to people who are starting a business of their own? Know your market and product. You don’t want to create something just for the sake of it. Do as much research as you can about what you’re selling. I think the best kind of business is the type that doesn’t require inventory. If you can provide a service to customers and do majority of the work on your own, your overhead costs are going to be minimal. The best business model out there is the one that finds solutions to problems people face on a day to day basis. People are always looking for ways to make their lives simpler. If you can find something that will benefit the average person, you’re most likely looking at a large market who needs what you’re selling. How do you make sure anyone can find STORM? I make sure that all my social media accounts have my website in my bio. 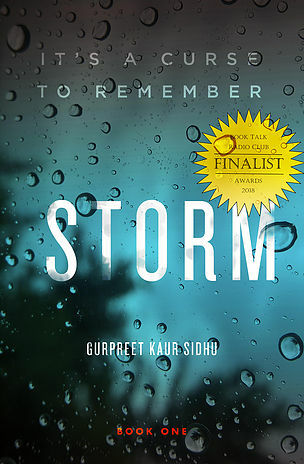 When I promote Storm, I make sure to mention the top two places readers can buy a copy, which is on Amazon and my website, gurpreetkaursidhu.com. My website also has the links to all the popular places you’d go to shop for books. What popular entrepreneurial advice do you agree/ disagree with? Why? The best time to do what you want to do was yesterday. The second best is today. Personally, I don’t want to look back at my life and have any regrets. I don’t want to have a list full of “could haves…”. So, if there’s a business you want to start, go do it. You’re going to have people who will doubt you and tell you that you’re crazy and then you’ll have some who you will inspire and will applaud you for having the courage to follow your dreams. At the end of the day, pursue what you feel is right in your heart. I plan on being more conscious of my health. I’ve started to make some changes to my diet. I believe we should be very selective of what we put into our bodies. It’s very easy to indulge but what we forget is how our food choices now are going to impact us later on in life. I’ve realized that I’ve been carrying around a lot of grief. I never got the chance to deal with what was happening properly. I would always throw myself into more work to avoid confronting the feelings that I had buried deep down inside of me. Writing has helped me release those emotions, but I’m going to work on being more honest in the moment, instead of letting things accumulate and feel the burden of that later down the road. 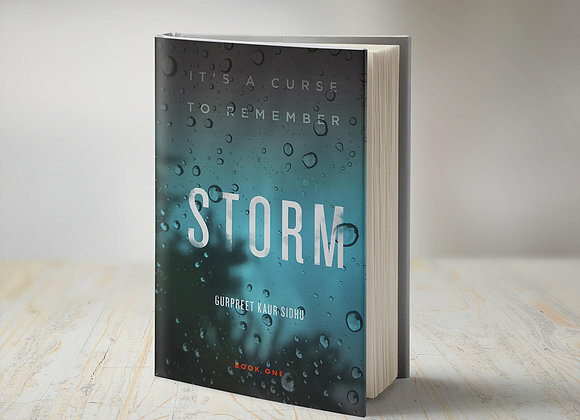 I would say my proudest achievement was when I found that Storm was nominated for Best Thriller! I remember the day when the nominees were going to be announced so clearly. I’ve never won any competition and have always come 3rd in anything I did compete in. It really made me proud to see Storm be nominated because it was an acknowledgement that all the work I put into this book was well worth it.